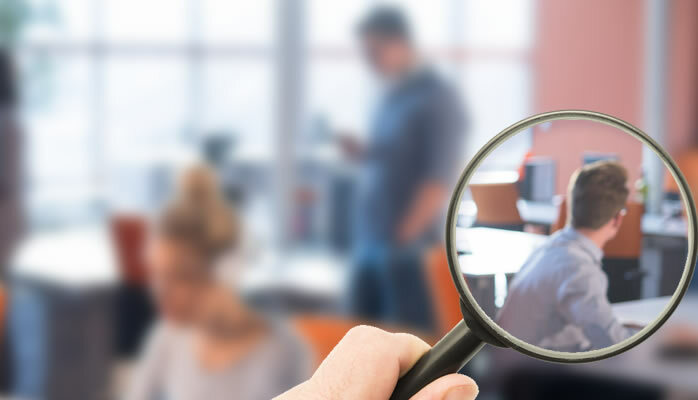 While preparing for workplace investigations, you should be aware that there may be a process to comply with in relation to your type of business. 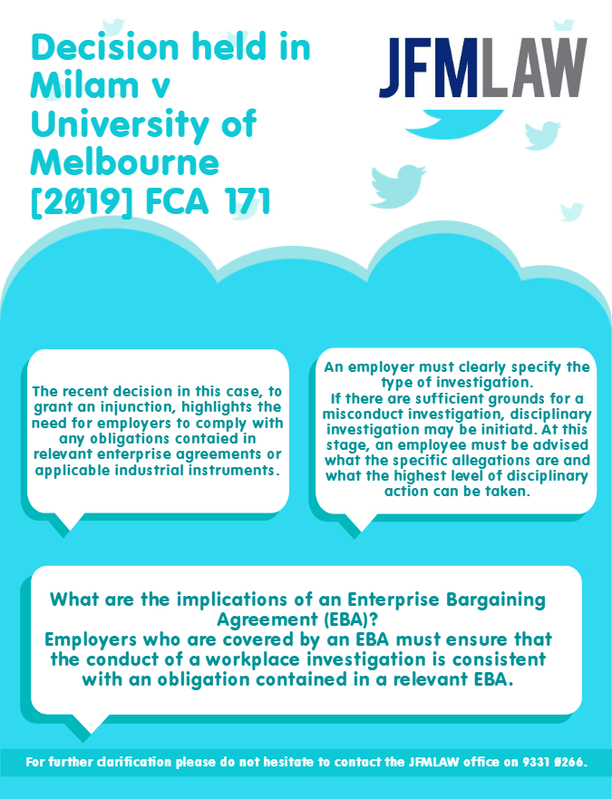 The recent decision in Milam v University of Melbourne  FCA 171 (19 February 2019) to grant an injunction against the suspension of an academic highlights the need for employers to comply with any obligations contained in relevant enterprise agreements or applicable industrial instrument. An employer must clearly specify the type of investigation. A ‘fact finding investigation’, also described as a ‘preliminary inquiry’ or ‘preliminary investigation’, is used gather information and evidence to determine what, if any, specific allegations can be proffered against individual employee/s. If a fact finding investigation determines there are sufficient grounds for a misconduct investigation, a misconduct or disciplinary investigation maybe initiated. At this stage an employee must be advised what the specific allegations are and what’s the highest level of disciplinary action eg termination of employment, that can be taken if the allegations are substantiated. Not all fact finding investigations will result in disciplinary investigation and not all misconduct investigations will start with a fact finding investigation. If an employer thinks they have sufficient information they can proceed straight to a misconduct investigation and proffer specific allegations against employee/s for response. In this case, the employer suspended the employee from some of her duties when provided with a report of the preliminary investigation, before a misconduct investigation substantiated any specific allegations of misconduct against the employee. Employers covered by an EBA must ensure the conduct of a workplace investigation is consistent with any obligations contained in a relevant EBA. This may include how an investigation is conducted and/ or when and what action can be taken. In the current case the employee was suspended from some, but not all, of her duties as an academic on the basis of the preliminary investigation. This, it was argued, was inconsistent with the terms of the EBA in what and when actions can be taken against an employee. The employee in this situation, was granted an injunction against the suspension. Of reasons given, they included, a failure by the employer to adequately articulate the parameters of the preliminary investigation and imposing a partial suspension prior to a final outcome of a disciplinary investigation; where these were inconsistent with terms of the EBA covering the employee. If you require any help in preparing for your workplace investigations for the best outcomes possible, contact JFMLAW. We would be glad to discuss your situation and what you will need to do moving forward.